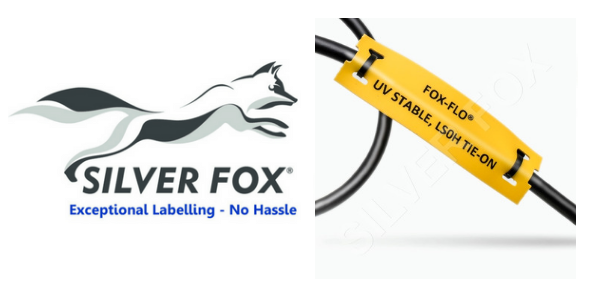 Silver Fox-Flo Tie-on LS0H Cable Labels are made from a special UV stable Low Smoke Zero-Halogen material that have developed to ensure the highest levels of durability – thermal cable labels are flame retardant, halogen free and intended for use in internal and external identification purposes. 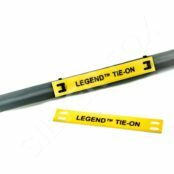 The labels are both strong and flexible and can be attached using either standard nylon or stainless-steel cable ties. 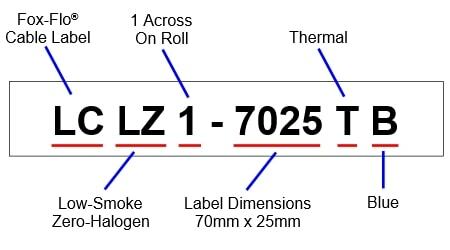 Typical applications would be Rail/Metro and buildings where LS0H is part of the specification. 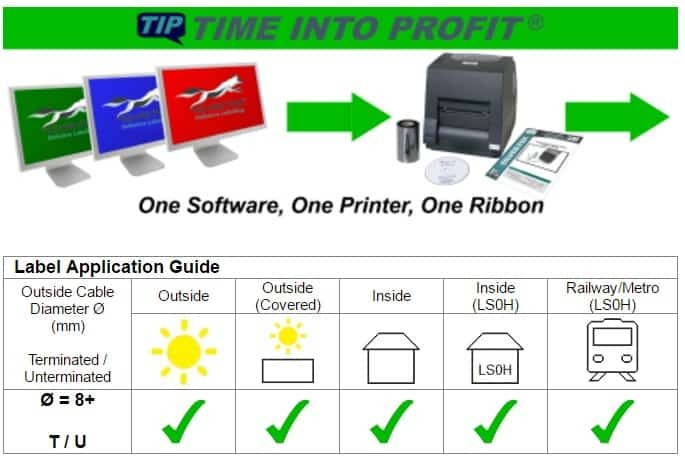 It can be used externally and in marine environments.